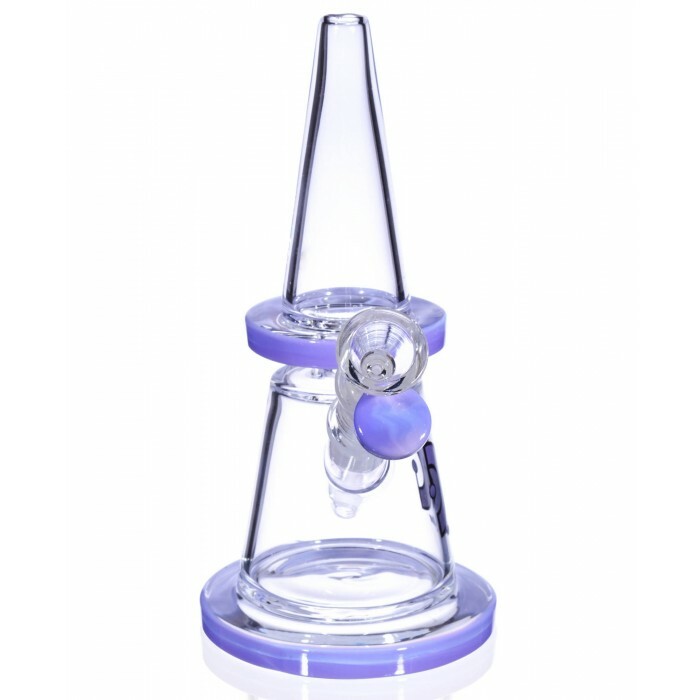 The Joust - 8.5” Water Pipe - Purple -The Greatest Online Smoke Shop! 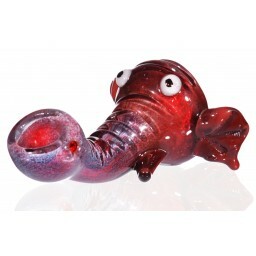 A convenient water pipe with a really cool and unique design. 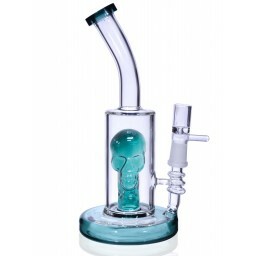 8.5” inches tall from tip of the mouthpiece to the bottom of the bowl and a 4 inch base. Pyramid design with a sturdy neck and accented with shaded purple colors on the base with a matching bowl. 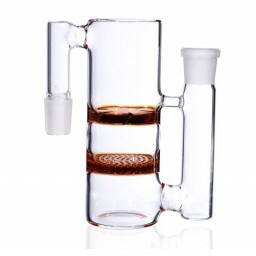 Comes with a 14mm slotted downstem and a 14mm dry herb glass bowl. This knight in purple shining armor has his lance propped up and is ready to joust. 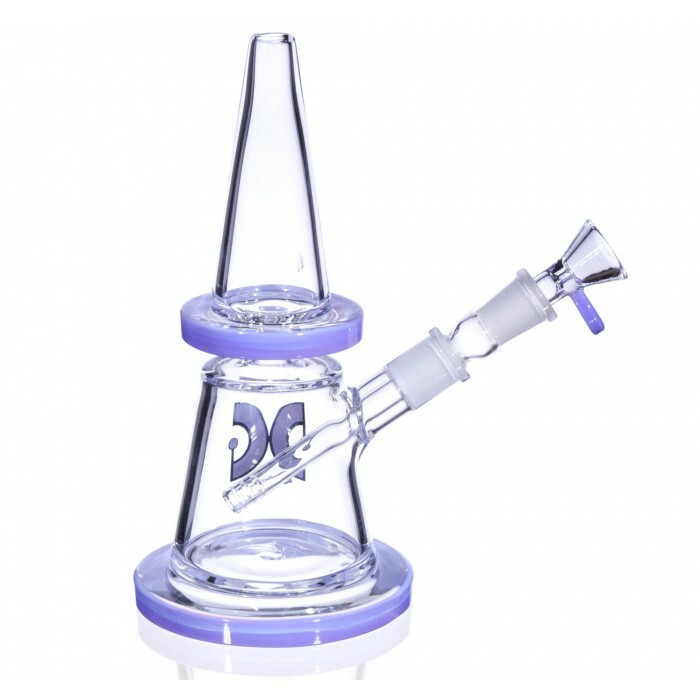 The Joust is a uniquely designed glass bubbler, made into a pyramid shape with a long protruding downstem that is 14mm long and attached to a 14mm glass bowl. This knight is ready for any battle, or at least just a nice, enjoyable smoke session. 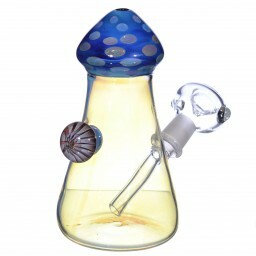 This piece is a nicely sized glass water bubbler, so you can take a clean, smooth, water filtered smoke session on the go conveniently if you ever need. It’s not just convenient, it’s also inspiringly designed. 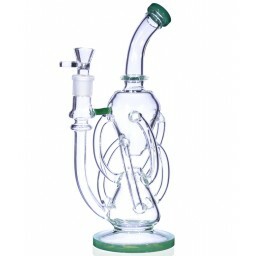 You don’t see many bubblers with this triangle type of look. Most are rounded and chubby, so this is a refreshing touch to see on a water pipe. 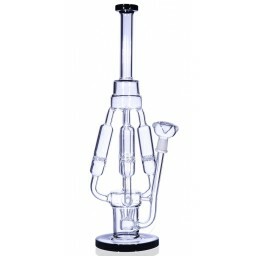 The downstem is long and properly placed into the water chamber, so it’s easy to fill water into this piece and enjoy a quick smoke. The design is topped off with shaded purple accents on the neck, base, and on the matching dry herb bowl that are not overwhelming or too bright. 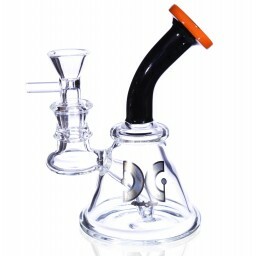 It’s a great combination of style, uniqueness, and function that create an elegant and sharp glass piece. 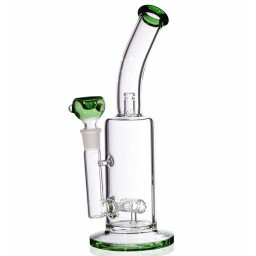 The entire glass bubbler is 8.5” from the mouthpiece to bottom of the 4” base. 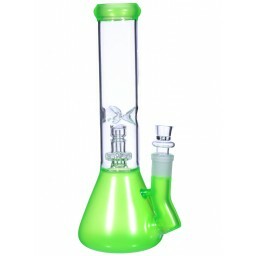 The water chamber is 3.5”, and this piece comes with a matching dry herb bowl.